Hello. 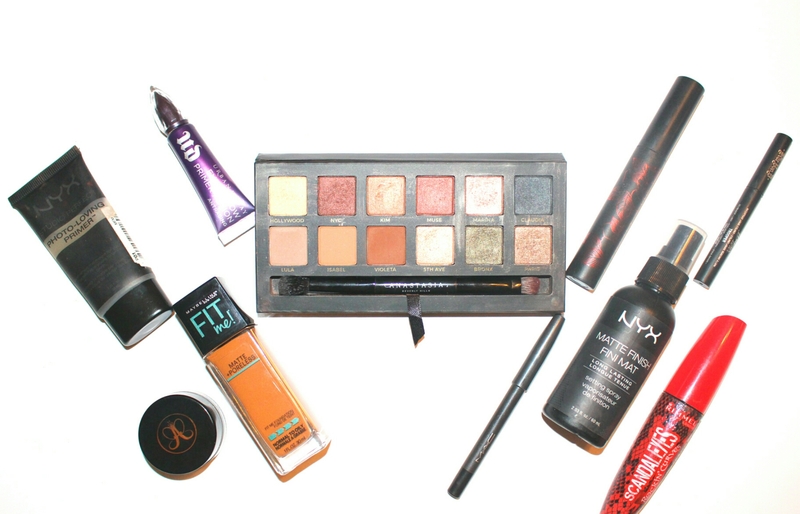 Today we continue our Festive fashion with a makeup look fit for a night out this season. As with my post on festive nails, I’m keeping with the theme of muted jewel tones with metallic accents. 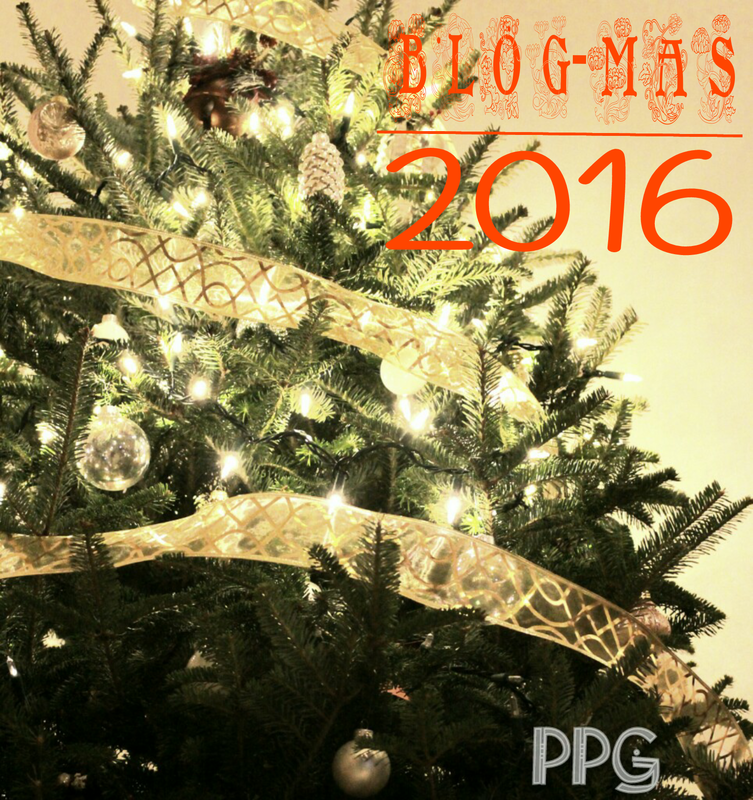 The star of this show is the Mario master palette by Anastasia Beverly Hills (ABH) .I mentioned this beautiful palette in my Blogmas Day 6 post; A few Festive things. Even though it isn’t a holiday palette I feel the dark deep jewel hued shimmer shades are perfect for the holiday season. This palette cost $45 US and is limited edition. I would say there are some fairly unique shades here but you can absolutely create a similar look with different palettes both high-end and drug store. 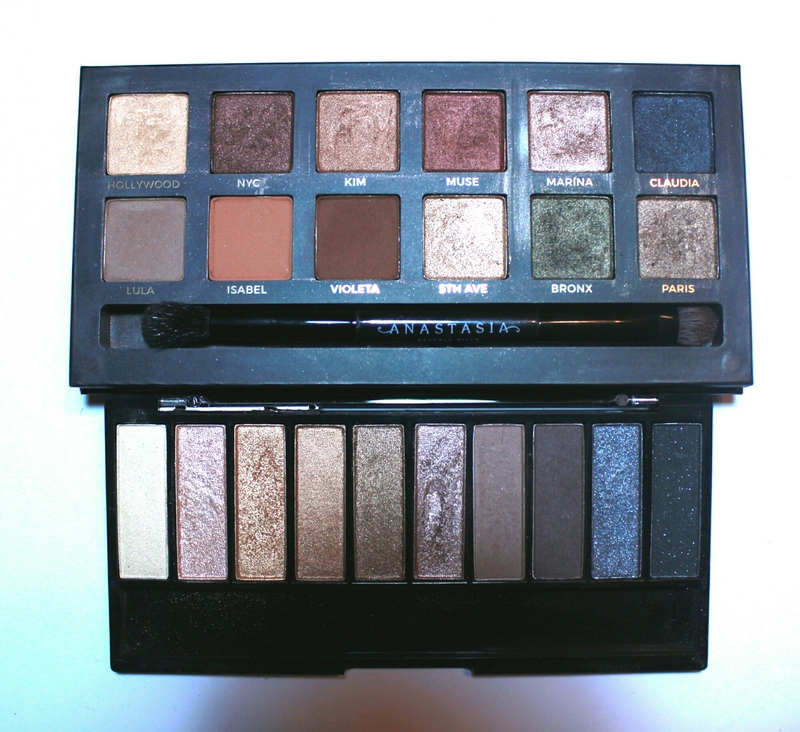 In my small repertoire the closest I have to create a similar look is a Wet and Wild palette (about $6). I put them side by side for comparison. 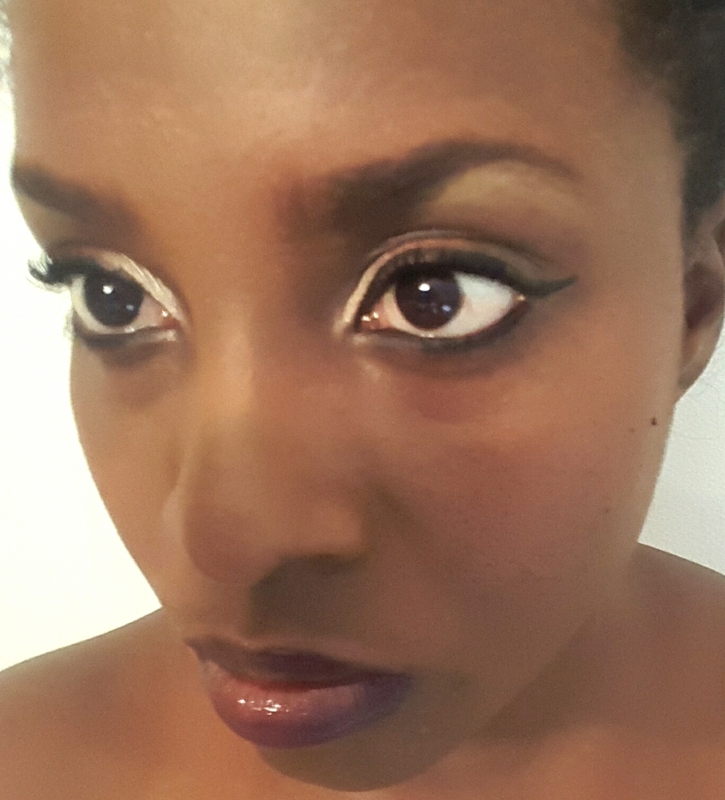 My focus is on the eye look but I will list all the products used for my overall look. Lid-ABH brushes (came with sets) double ended. 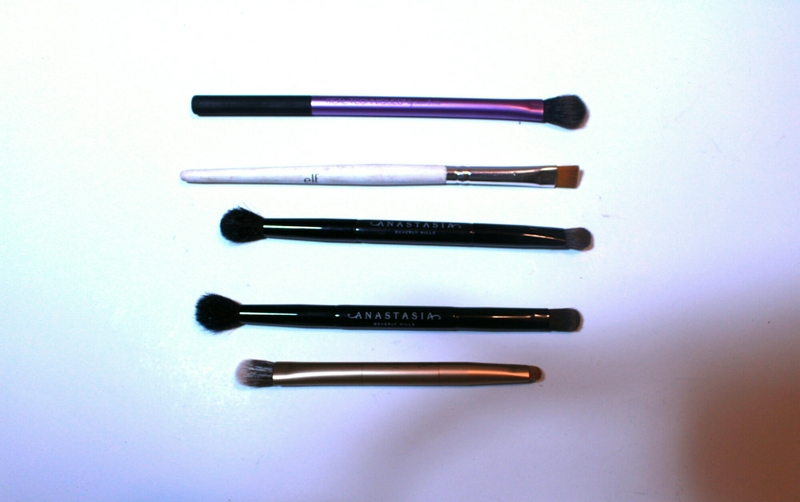 Each has a round topped flat brush on one end and a fluffy blending brush in the other. Urban Decay brush double ended. A fluffy dense brush on one end to pack on shadow and small round topped flat brush freat for the inner corners. So now we begin. It turns out I am not a beauty guru or a photographer and therefore not that great at taking pictures of nyself doing makeup so please excuse the lack of pictures as I do each step. Apply Claudia , a deep navy shimmer shade into the crease. Start with a small amount going back and forth in the crease using windshield wiper motion gradually building up. Using a thin flat brush apply 5th ave, a golden hue to the brow bone. I went heavy with this because I wanted a bolder look. 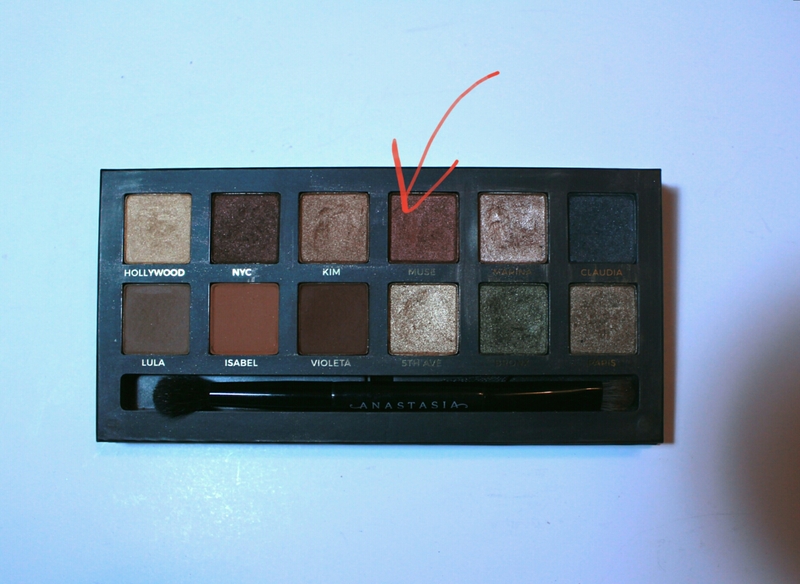 Apply Isabela , a medium brown with an orange undertone all over the lid. This will form a base for the rest of the colours. Using a small round topped flat brush, apply Bronx, a sparkly deep olive shade to the outer corner of the lid, blending it out. Using another small round topped flat brush (or your finger tip) apply Muse, a coppery burgundy in the centre of the lid and blend. Using a small brush place Marine, a delicious shimmery rose gold on the inner corners and blend. Take a thick fluffy brush and gently blend everything out. Line lids and apply mascara. I finished up my look with a peach blush and lined my lips with a deep purple and a coated of gloss(Too Faced Lip Injection Extreme ). 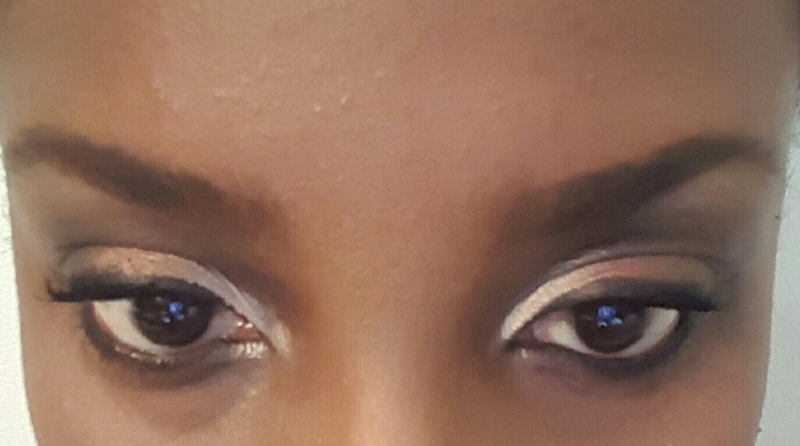 I kept the rest of my face neutral as I wanted the attention to be on the eyes. Thank you for reading. 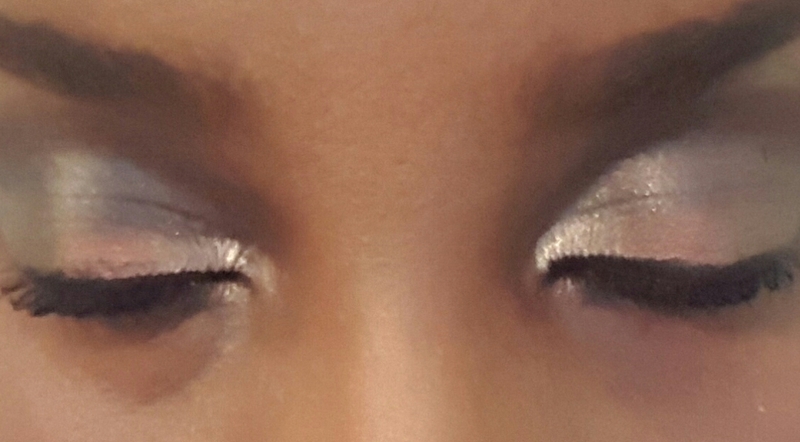 Hopefully this look will inspire your holiday makeup looks. Have an awesome day!